The following section outlines some of the projects the Runanga is leading. The projects are primarily focused on working towards achieving the Vision and Strategy for the Waikato River, enhancing iwi lands and building capacity and capability within our people. 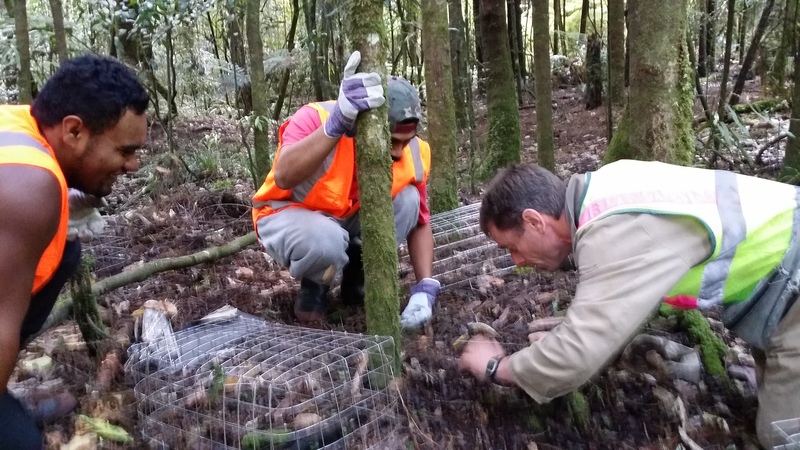 The Runanga has undertaken substantial wildling pine control work within Orakei Korako/Red Hills, Tutukau Forest and along the lower Mangatoetoe Stream and Waikato River margins. The project has been ongoing since 2012. The area where work is currently underway has high biodiversity values as well as geothermal features and covers areas along the margins of the Waikato River. Control of wildling pine and other weeds will assist in restoring and protecting these values. This area is also of great importance to Ngati Tahu-Ngati Whaoa and is the iwi ukaipo or birthplace. Control of wildling pine is assisting in protecting and enhancing cultural values. Work is now in its fifth year and the progress made to date is very visible on the landscape. Further ongoing maintenance will be required into the future. This project is funded by the Waikato River Authority (WRA 12-047). Funding has also been provided by Waikato Catchment Ecological Enhancement Trust, Department of Conservation (Biodiversity Condition Fund) and Te Arawa River Iwi Trust. 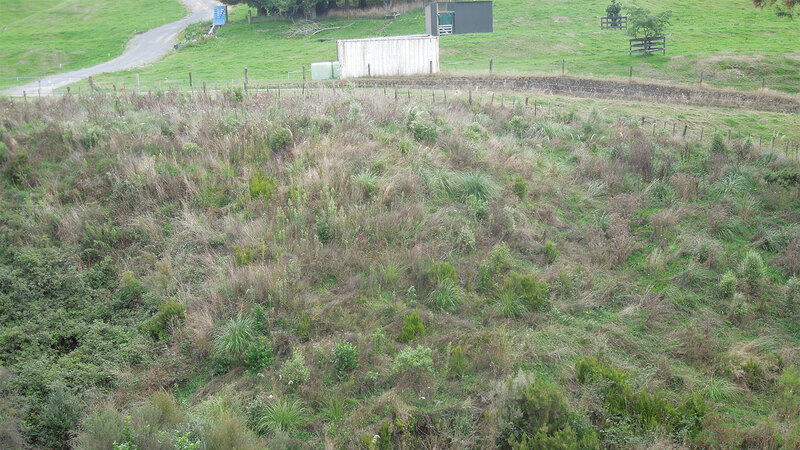 The project area was degraded land on the banks of the Waikato River which was used for rubbish dumping, had multiple weed issues and was relatively inaccessible. The area also has sites of cultural significance to Ngati Tahu-Ngati Whaoa. This project has involved three stages of restoration with work focused on weed control, planting of natives, protection of cultural sites, providing interpretive information and increasing recreational opportunities. The total planting area is 3 hectares. The work has been led by the Runanga and has involved multiple agencies and stakeholders with input from the community including schools groups and others. Funding has been provided by Waikato Catchment Ecological Enhancement Trust, Honda Tree Fund and Te Arawa River Iwi Trust. Additional support has been provided by Fonterra and Landcorp and many members of the local community. Today, the reserve is a space for all to enjoy, rescued from its rubbish dumping past with an inspiring tale of a community coming together and making a difference. Tutukau East Z Trust own a large block of land comprising c2260ha of pasture, indigenous forest, exotic plantation forest, geothermal habitat and waterways including 3 streams which flow into the Waikato River. The Trust land contains part of the Tutukau Forest (686ha of the total forest area of 968ha) which is a large example of indigenous forest. 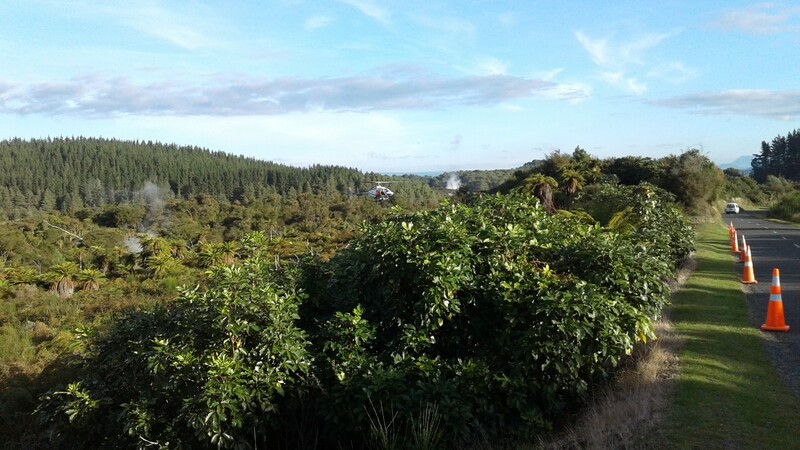 The forest itself is protected by a Nga Whenua Rahui Kawenata agreement and is classified as a Significant Natural Area (SNA) and an Amenity Landscape area in the Taupo District Plan. In 2013, the Runanga commissioned Wildlands Consultants to prepare a restoration plan for Tutukau Forest on land owned by Tutukau Z East Trust. The plan has assisted in assessing biodiversity work and priorities at the site. Funding for the preparation of this plan was provided by the Department of Conservation Biodiversity Condition Fund in 2012. Download a copy of this plan here (leave same as currently on website) In addition to the development of this plan, the remaining Dactylanthus taylorii population in the forest was surveyed in 2012 by the Runanga. Over 180 plants have been caged to protect them from possum browse and disturbance. Caging and monitoring of this population continues on an annual basis. Funding was provided by the Department of Conservation through the Biodiversity Condition Fund in 2014 for the Dactylanthus work. Several projects are underway at or near Ohaki wetland located on the banks of the Waikato River near Broadlands. A pest control regime of 26 traps around the wetland has been in place for 4 years. With funding from the Waikato Regional Council Small Scale Community Initiatives Fund (SSCIF) the trapping network will expanded in 2018 to include an additional 22 traps for control of rats, feral cats, stoats and possums. The expansion of the trap network will incorporate more river riparian areas and additional wetland areas to the north of the site (Hardcastles Lagoon). The pest control trapping project contributes to the overall objectives for the wetland, including maximising habitat for water fowl and wetland bird species and, protecting and enhancing natural values of the land. Fish and Game play a key role in undertaking trap maintenance and rebaiting on a regular basis. Some planting of the wetland was undertaken by Fish and Game during the wetland construction in 2010 however there are large areas of the site which are currently covered in grass. A further hectare has been planted through a Runanga project in 2017. 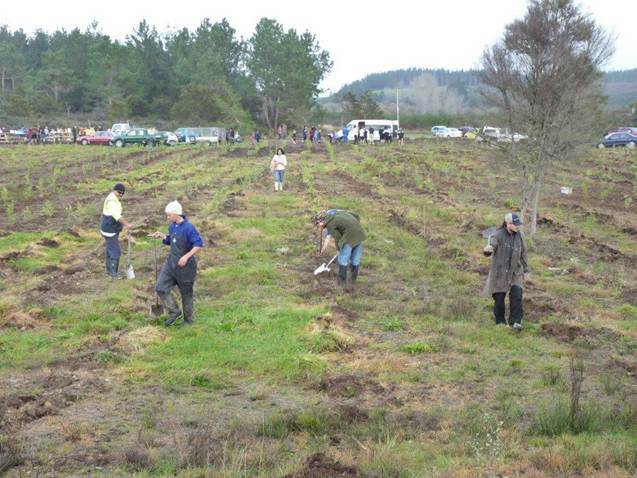 An additional 4 hectares of native plantings will be undertaken during 2018 and 2019 which is cofounded by Waikato River Authority and Te Arawa River Iwi Trust. The restoration planting will increase riparian protection and connectivity in a key wetland area and provide increased habitat for bird species and other fauna. Nga Awa Purua is a block within the Tauhara North No2 Trust lands and this project is intended to aid the restoration of the riverbanks of Te Awa o Waikato. Control of Wilding Pines and weeds provides bank stability and sediment control, as well as assists native flora regeneration. This project was kindly sponsored by the Waikato River Authority, Waikato Catchment Ecological Enhancement Trust, Ngati Tahu-Ngati Whaoa Runanga Trust/Mercury Partnership and Tauhara North No2 Trust. 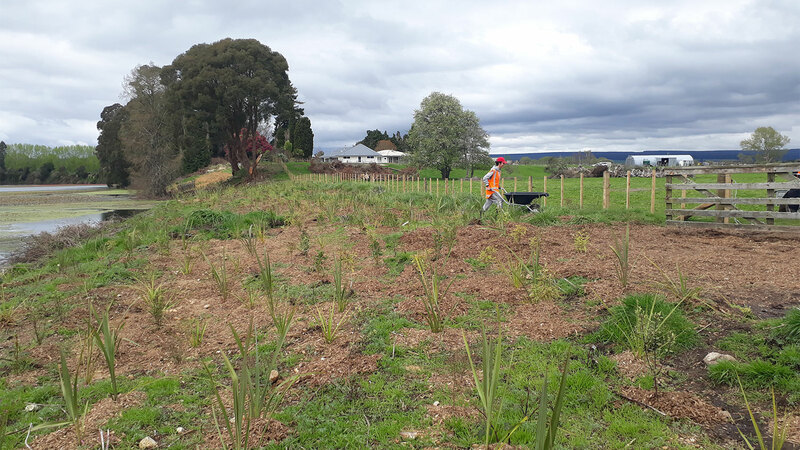 The Runanga has undertaken planting and riparian enhancement on 1 hectare of riparian area at Hardcastles Lagoon on the Waikato River on LINZ land. The aim of the work is to increase habitat and riparian protection. 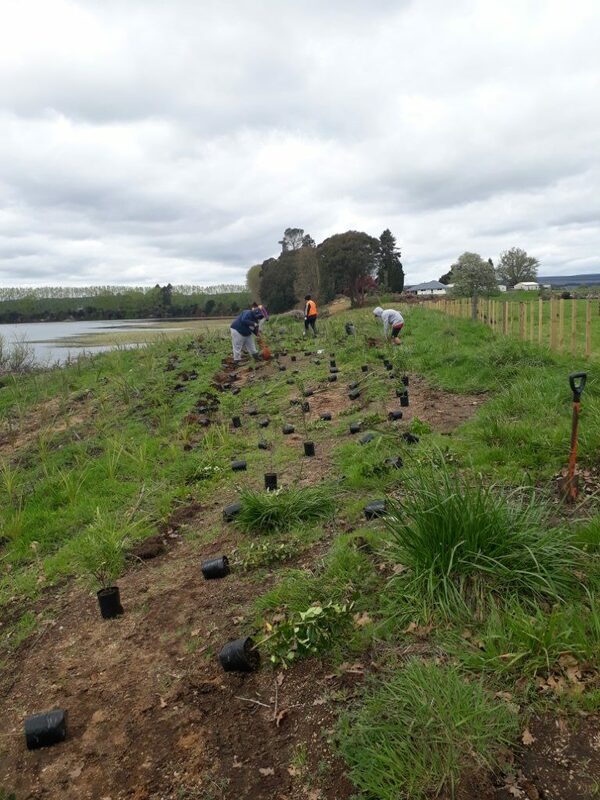 The work will increase the extent of plantings along this stretch of the Waikato River and links to restoration plantings at the adjacent Ohaki Wetland. This project has been funded by Waikato Catchment Ecological Enhancement Trust and Te Arawa River Iwi Trust. Te Awa o Waikato - Ngati Tahu – Ngati Whaoa Cultural History. 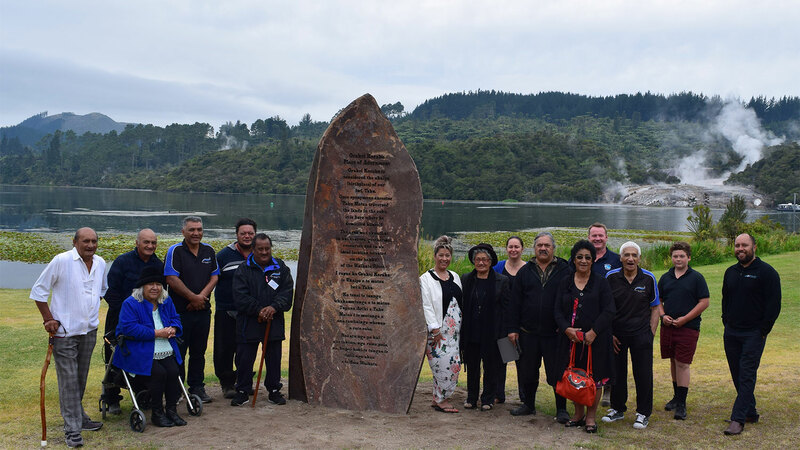 This project is designed to assist our iwi to create a cultural journey along the Waikato River and the Waiotapu stream, enabling us to identify significant areas and retell our history. The installation of kohatu sourced from within our rohe and iPou (information pou) frame our rich korero of the past. This project is partly funded by Waikato Fire Authority. One hectare of the lower Mangatoetoe Stream, Tutukau has been planted over the last 3 years. The work links riparian plantings both upstream and downstream of the site on a tributary stream which flows directly to the Waikato River at Orakei Korako. This project has been funded by Waikato River Authority. 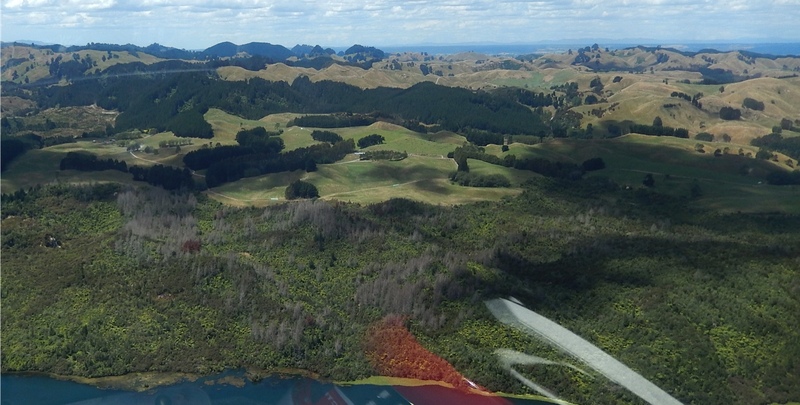 Collaboration between key agencies (Ngati Tahu-Ngati Whaoa, Eastern Region Fish and Game, Te Arawa Lakes Trust, Waikato Regional Council and the Department of Conservation) has highlighted these three lakes as an area for focus and restoration. In 2016, the agencies jointly developed the 3 Lakes Action Plan – An interagency plan for the protection, enhancement, and restoration of lakes Ngahewa, Tutaeinanga & Ngapouri. These lakes are of cultural, natural, historic and recreational importance and are located in the headwaters of the Waiotapu Stream which is a major tributary of the Waikato River in the upper Waikato catchment. The lakes are the only natural freshwater lakes within the upper Waikato catchment and are located amongst the geothermal areas of Manga Kakaramea, Waiotapu, Maungaongaonga and Waikite and form part of the mosaic of the landscape and natural diversity of the area. A network of traps have been established around the margins of Lake Ngapōuri to assist in controlling rats, stoats, weasels and ferrets around the reserve. The traps are checked regularly. Funding was provided for the traps by Waikato Regional Council. The Runanga, with support from the local landowners have established the trap network. It is hoped the biodiversity and bird numbers will improve as a result of this project. Following on from the development of the 3 lakes action plan, in 2016 funding was successfully gained from the Waikato River Authority for fencing and riparian restoration at Lakes Ngapouri and Tutaeinanga. The project is focused on the protection and enhancement of these two lakes through restoring and extending their riparian margins. The purpose of this work is to return boundary fences to the correct boundaries, excluding stock from the lakes enabling riparian margins/reserve areas to be restored and water quality to improve. This work is part of the overall framework developed through the 3 Lakes Action plan for achieving improved water quality, improved biodiversity, improved catchment management and the ability to share cultural information and reconnection of iwi and the community and landowners to these sites. Approximately 5,103m meters of new fencing will be complete and an area of around 4 hectares of riparian margin will be replanted in native riparian plants around the two lakes. This project is part of the overall collaboration between Ngati Tahu-Ngati Whaoa, Eastern Region Fish and Game, Te Arawa Lakes Trust, Waikato Regional Council and the Department of Conservation. This particular restoration project is being led by Eastern Fish and Game for fencing and restoration work at the lakes with Ngati Tahu-Ngati Whaoa Runanga Trust managing the overall project. 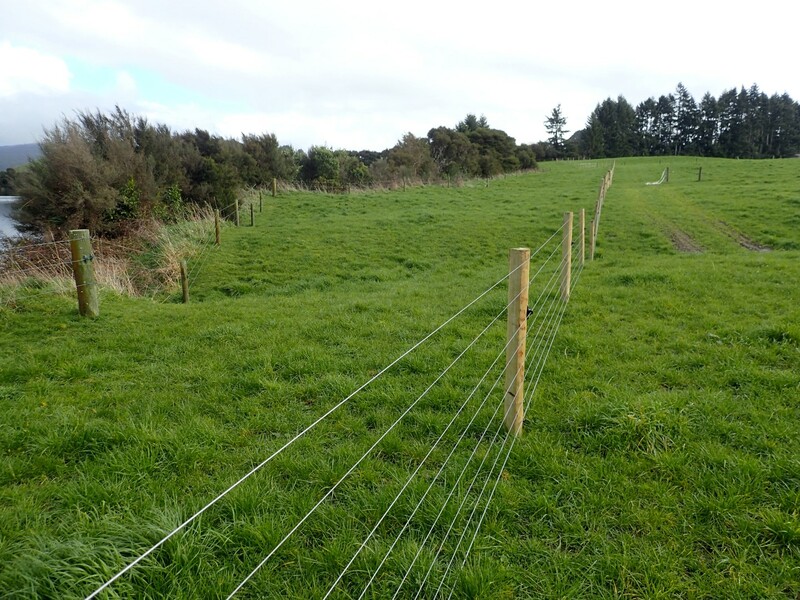 Landowners around the two lakes are also working alongside us as part of this project and additional funding has been provided for fencing by Waikato Regional Council and Department of Conservation. 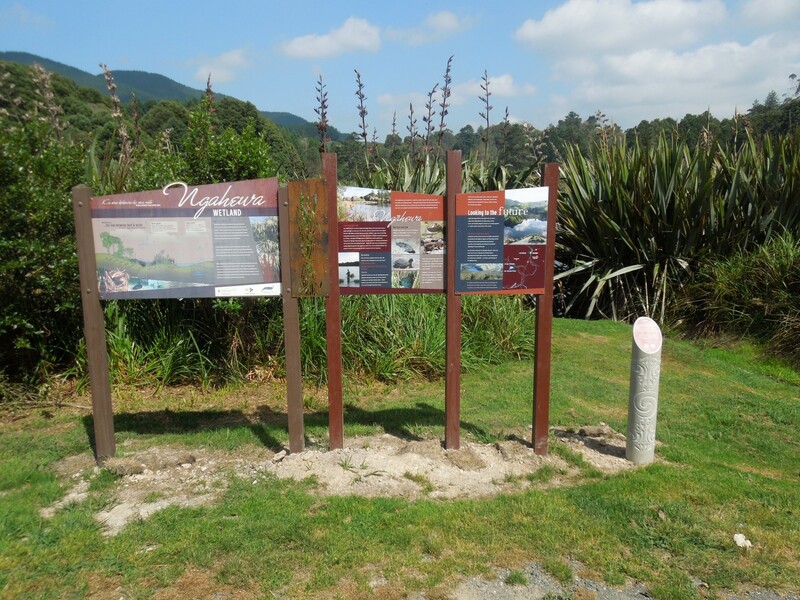 New signage and IPOU (interactive POU) have been installed at both Lake Ngahewa and Lake Ngapouri which shares environmental, cultural and historical information. This project has been possible with funding for the Department of Conservation Community Fund. 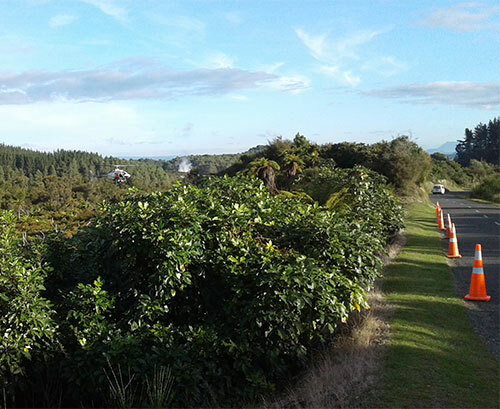 The Runanga has recently undertaken wilding conifer control in over 40 hectares of Wai-o-Tapu Scenic Reserve to protect and enhance the geothermal values of the reserve. We have also been working with Department of Conservation and Timberlands to develop an overarching weed management plan across land ownership within the wider geothermal area. We hope this will provide efficiencies and better gains as we work together on weed control at this site. This project has been funded by Waikato River Authority and the Runanga. We have recently worked with a consultant to prepare a scoping report assessing the options for restoration within the Orakonui catchment and Ngatamariki Scenic Reserve. Preparation of this report involved input from the Department of Conservation and Wairakei Estate. This project has been funded primarily by Waikato River Authority with input from Wairakei Estate, Department of Conservation and the Runanga. A scoping report on options to enhance the lower Mangahoanga stream was completed by the Runanga in 2017. The report identified key areas where the stream could benefit from planting, fencing and protection of wetland areas to help enhance water quality and mahinga kai habitat. This report provides the basis for any future discussion with landowners and planning for on the ground works. This project was funded by Te Arawa River Iwi Trust. The Environment Department would like to thank our many project funders and project partners for their contribution and support. We also thank you to those who have supported the Environment Department with our project work. © 2019 Ngati Tahu – Ngati Whaoa Runanga Trust. All Rights Reserved. Powered by WordPress. Created by Muffin group.